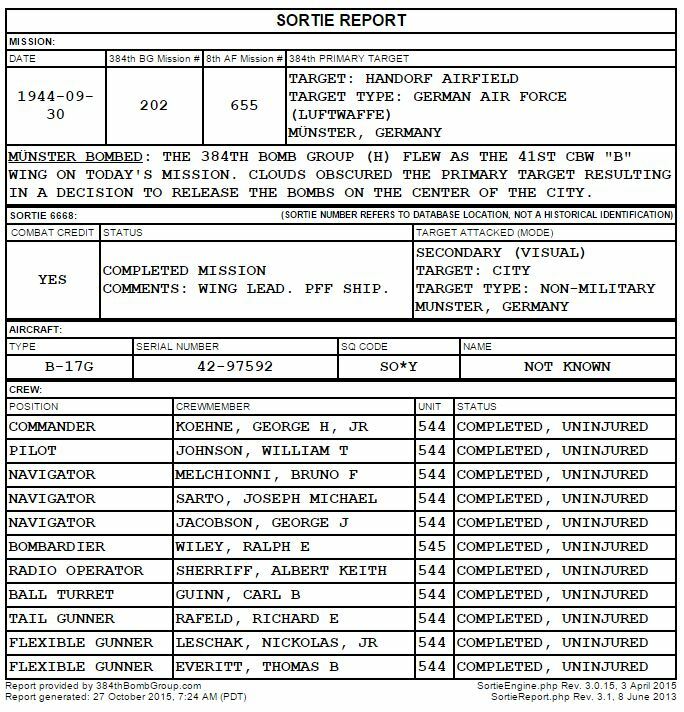 The information I’m basing my theory on is this: August 4, 1944 was the Buslee crew’s first mission. 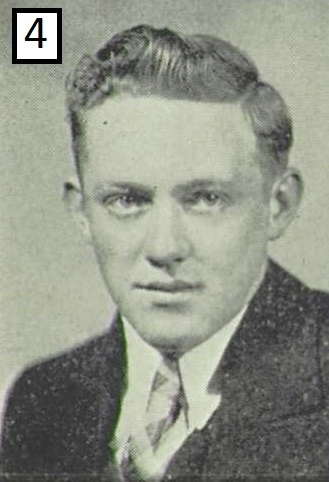 Arthur Shwery was training John Buslee that day, which put Arthur Shwery as the pilot with the crew and John Oliver Buslee as the co-pilot. 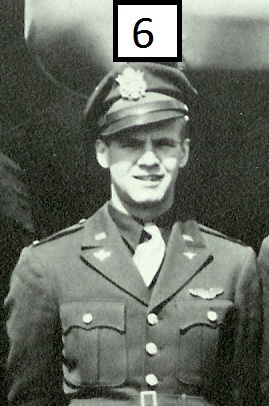 As a result, David Franklin Albrecht, the Buslee crew’s assigned co-pilot, flew with the Paul Norton crew that day. This setup was repeated the next day, August 5. As a result, David Albrecht got to know some of the men of the Norton crew. I believe Number 6 in this photo is David Albrecht. 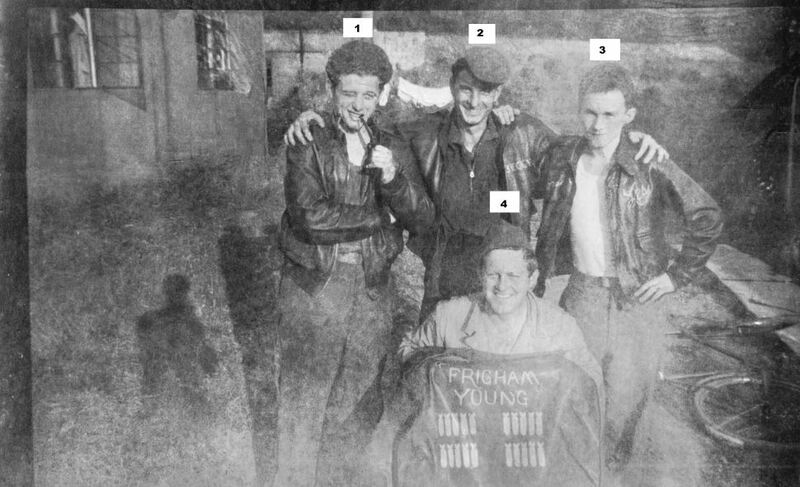 I believe Number 2 in this photo is either Carl Bennett Guinn, the engineer/top turret gunner or Thomas Bruce Everitt, the flexible/waist gunner, on the Norton crew. Opinions? Do you see any resemblance? I also think Number 2 in the above photo is either Carl Bennett Guinn or Thomas Everitt. 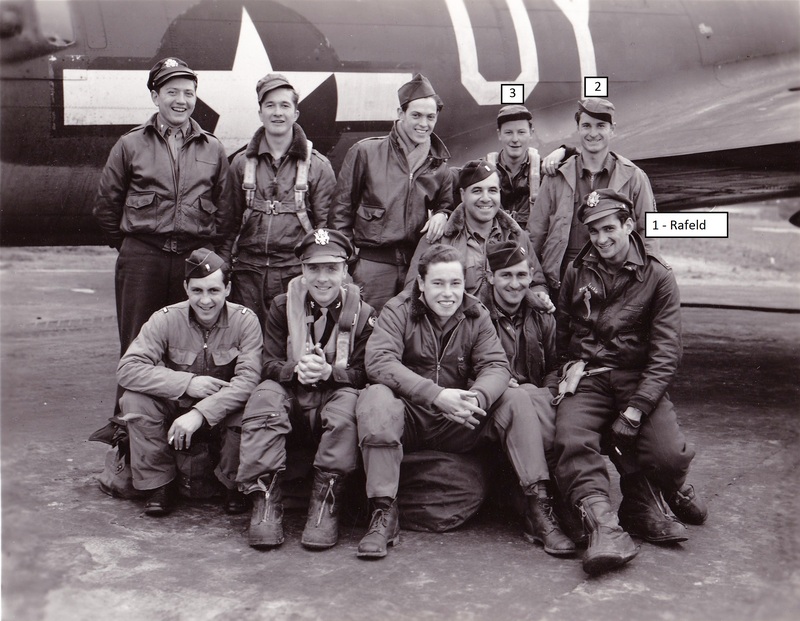 And in this photo from the 384th Bomb Group’s September 30, 1944 mission, the only two men not identified are Carl Guinn and Thomas Everitt. I have numbered them 2 and 3 in the photo. 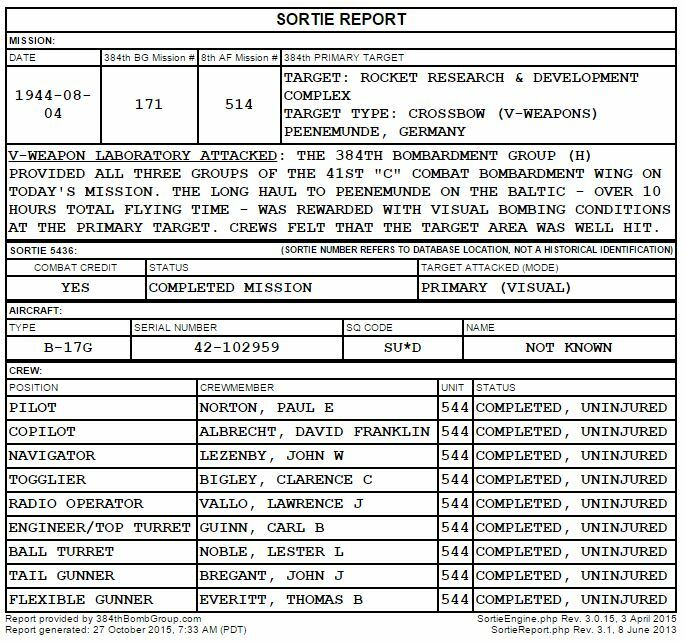 Comparing the men in the photo to the sortie report, the unidentified men must be Guinn and Everitt. 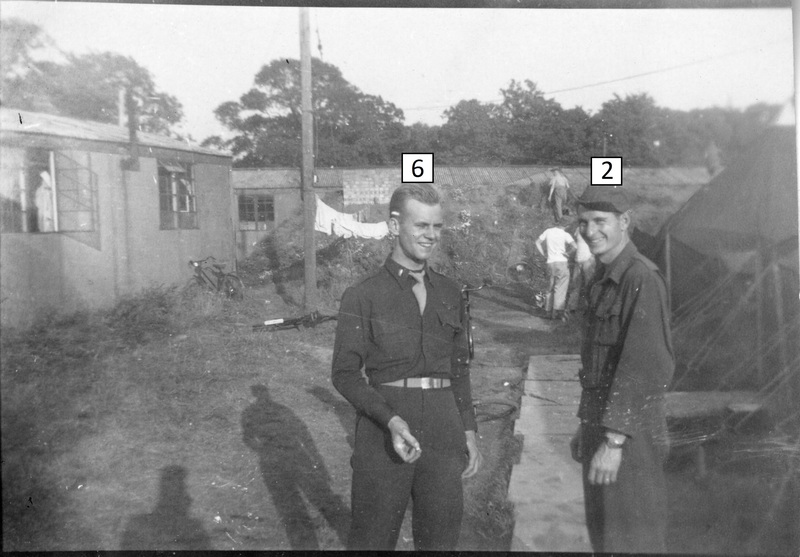 I believe Number 2 in the September 30 photo is the same man standing next to Number 6 (possibly David Albrecht) in the first photo. Opinions? 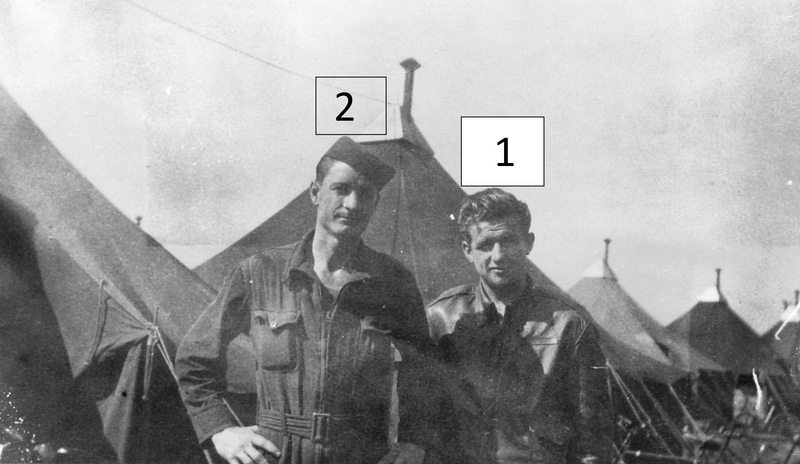 Number 2 looks like the same man in the previous photos – either Guinn or Everitt. Note: he is continuously designated as Number 2 in each photo. Number 1 looks somewhat like Richard Rafeld to me (see Number 1 on the September 30 photo above), but note that Rafeld did not fly with the Norton crew on August 4 and 5, so I may have this identification incorrect. Number 1 may be another of the Norton crew, but I cannot find any more photos for comparison. Again, Number 2 is the same Number 2 in the other photos – either Carl Guinn or Thomas Everitt. I am almost certain Number 5 is Lenard Leroy Bryant of the Buslee crew. 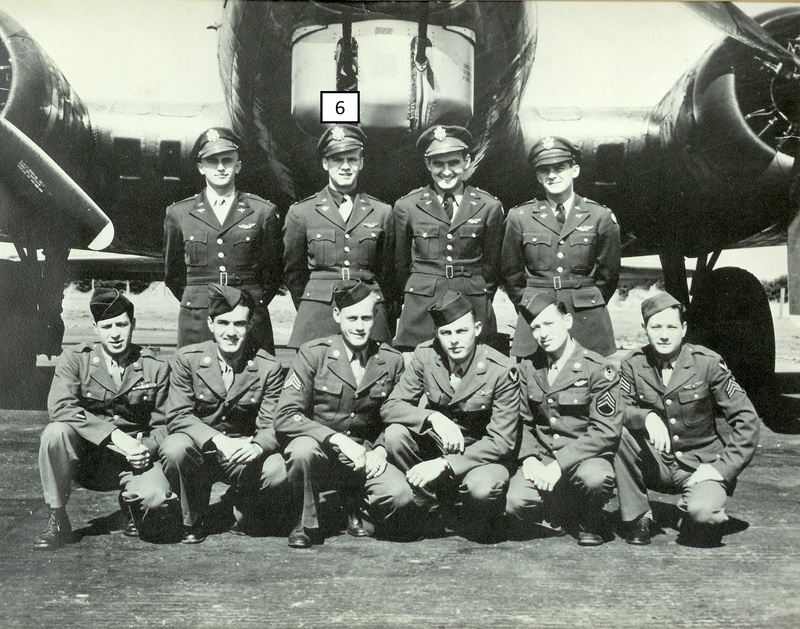 Lenard started out on the August 4 mission as the flexible gunner/waist gunner on the Buslee crew, but by the August 9 mission had become the Buslee crew’s engineer/top turret gunner. Number 5 is Lenard Bryant. 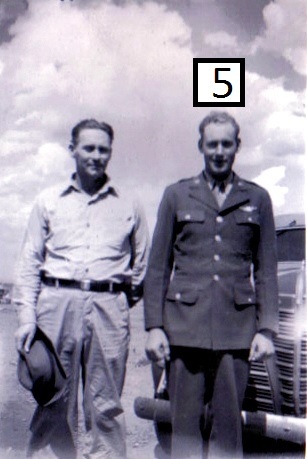 Pictured with his brother, Buck. Number 1 may be Richard Rafeld or one of the Norton crew. Number 2 must be either Carl Guinn or Thomas Everitt. I have sent messages to relatives of both Guinn and Everitt on Ancestry.com. 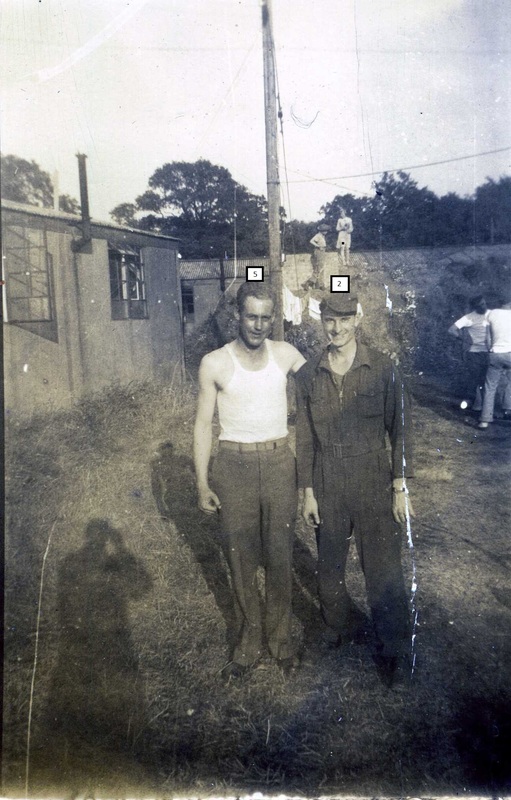 I hope the relatives can provide photos and perhaps clear up the identifications of both of these men. If anyone else can provide any information, please contact me. By thearrowheadclub in 384th Bomb Group on October 28, 2015 .